The professionals of Creative Asphalt & Landscape Inc in St. Clements are proud of working efficiently for our every customer in the Kitchener/Waterloo area. Look to our professionals for outdoor maintenance. For your safety in the winter and landscape maintenance for beautiful grounds all year long. We specialize in Commercial, Industrial, multi-residential and residential for all you paving needs. Working with your budget, maintaining your existing driveway, parking lot or creating new curb appeal. 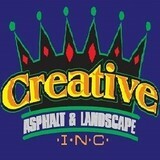 With a good business reputation, Creative Asphalt & Landscape Inc is a local, family-owned operation, offering you workers with over 30 years of landscaping and asphalt paving experience. Give us your ideas and we will create them. Call us for a free estimate to find out how. Kool custom concrete offers experience and expertise to your projects. walkways, driveways, patios, stamped and exposed aggregate. call for free estimates!! check us out on Facebook @Kool Custom Concrete ! We are proud to serve London and surrounding areas, we offer a professional and reliable service from a team of skilled and certified tradesmen. The experience of this team is second to none , with over 20 years experience and redseal certified. The Success of D. Peters Paving Inc. is based on keeping a good reputation. Peters has grown steadily over the years because it earned a reputation for doing the job right. 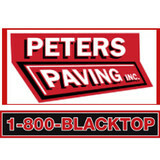 Peters paving was established in 1969 By Dave Peters and his two brothers. Things were tough in the beginning, but eventually the business took off and Dave eventually bought out his two brothers and built a large new headquarters on the northwest corner of Highway 73 & County Rd. 52, still in south Dorchester. The business started with three brothers and two employees, and now in 2014 the company currently employs 18 people. Most of the employees have been here for over ten years, and a couple have been here for over thirty. The crew is very experienced and efficient, you can trust their workmanship. We only employ salaried sales people, so the customer won’t be bombarded with hard-sell door sales tactics. In the fall of 2013 Dave Peters sold the company to Chad Yates, who had a successful asphalt maintenance and paving business in Woodstock for almost ten years. Dave is still very much involved in the company, helping out when he is needed. He wants the business to continue to grow and develop more long lasting realationships with the customers. Chad was attracted to buy Peters Paving because of the good reputation and experienced staff. It is Chad's goal to maintain the high standards that Peters Paving has maintained for all of these years, as well as customer service. Education is very important to us, and we try to teach our customers as much as we can about asphalt paving so they get the most out of their product. We have the latest in paving equipment, which provides the customer with the best compaction of the material. Peters Paving trucks can pick up and lay up to 1000 tons of asphalt a day. We do work for the Government, Municipalities, Construction companies, Large Corporate outlets, Large and Small Businesses, and the Homeowner. Asphalt paving of driveway, parking lots, roads. At Armstrong Paving & Materials Group, our vision is to provide our customers with the best possible project by using high quality materials and application methods. We do this through efficiently and cooperatively working with our customers, suppliers and sub-contractors. From installation to repair, London, ON driveway contractors are responsible for a variety of planning, installation, construction and driveway maintenance services. Driveway installation. Before work begins on a new or replacement driveway, your professional should create plans based on your needs and material choices, as well as your property grade, soil and other Ontario landscape factors. When it comes to the actual driveway construction, driveway contractors are responsible for preparing the site, obtaining the necessary materials, making sure a strong foundation is laid, operating equipment and heavy machinery, and cleaning up the site afterwards. Driveway materials. While most driveway contractors in London, ON primarily work with asphalt, they are also experts on the wide range of available driveway materials. If you are looking for something different than a standard asphalt driveway, your pro can help you select driveway pavers or customize a brick driveway design. A driveway installation and maintenance professional may work closely with a London, ON builder, landscape professional or various manufacturers and suppliers. Find a London, ON driveway installation and maintenance professional on Houzz. Narrow your search in the Professionals section of the website to London, ON driveway installation and maintenance. You may also look through London, ON photos to find examples of driveways that you like, then contact the professional or contractor who worked on them.